My name is Jackson but everyone calls me Mossy. 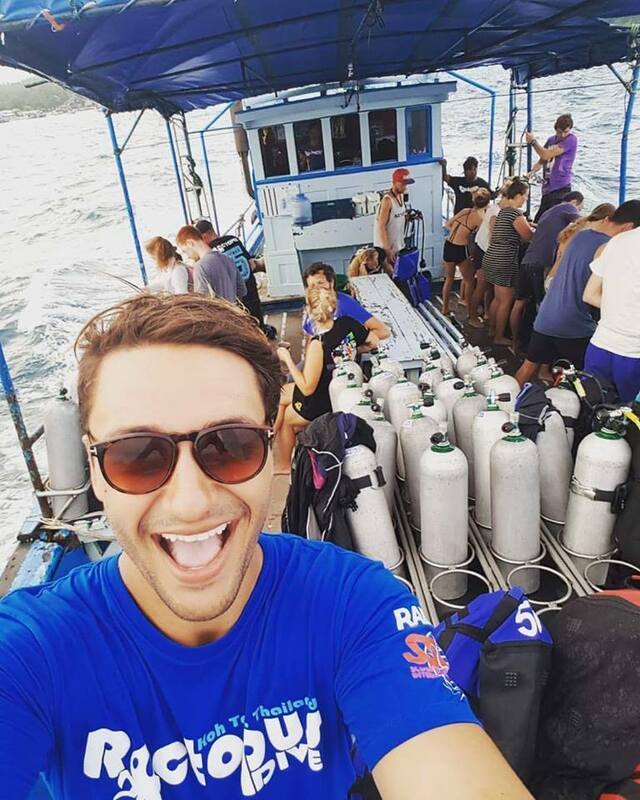 I’m a 22 year old Australian and I’m a Full Time Dive Master for Roctopus and will be making your life a whole lot better with my weekly blog. 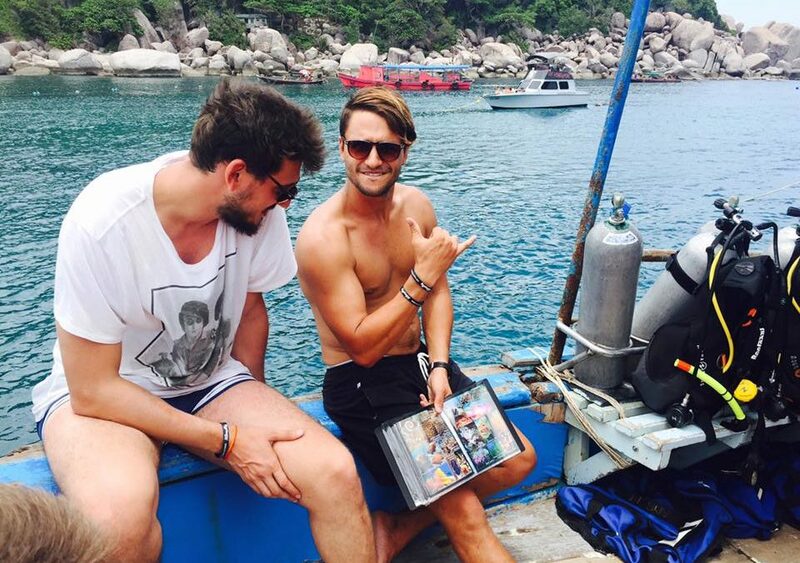 As this is my first entry, I thought I’d tell you a little bit about how I came to work for Roctopus in Koh Tao. Koh Tao is a small island in the Gulf of Thailand. Accessible by ferry from Chumphon, Surat Thani, Koh Samui and Koh Phangan, it is a diver’s heaven. With some of the most beautiful dive sites in the world, it was a no brainer that I would come here to work at some stage. I didn’t anticipate coming here so soon though. I started my Dive Master Traineeship (DMT) in Cairns Australia. 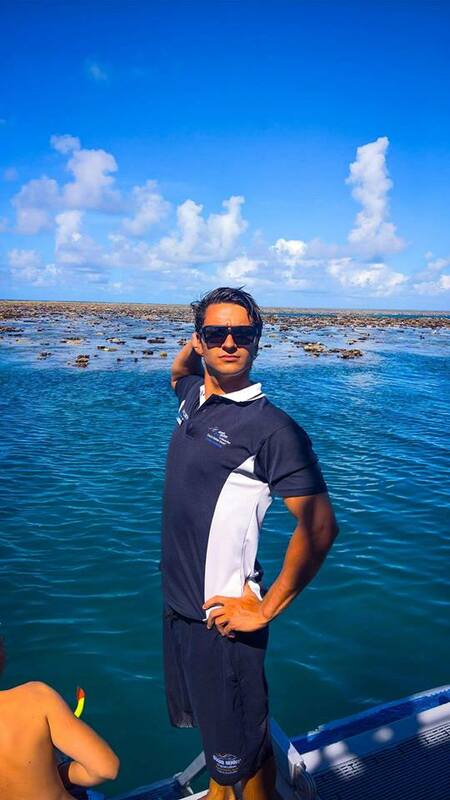 The Great Barrier Reef was an absolutely amazing place to work and dive on. It was an absolute privilege to be able to see the reef while it’s still healthy. 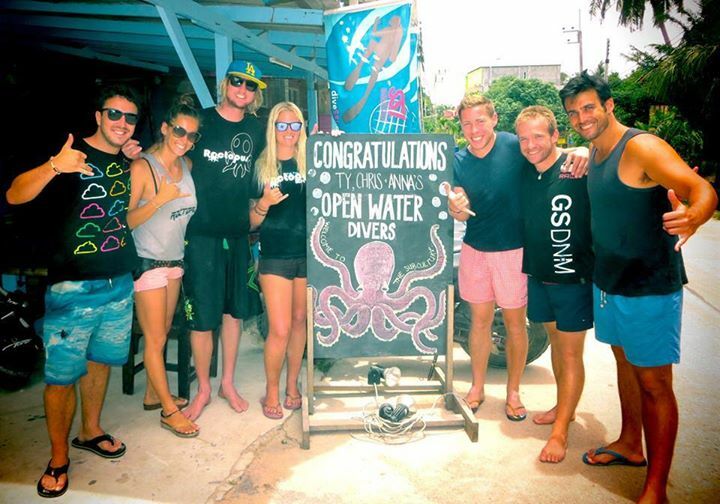 My internship took me from my Open Water certification all the way through to my Dive Master. A 5 month journey earning next to nothing and working 12 hour days, 5 or 6 days a week. My days off in Cairns were usually spent back on the boat I worked on going fun diving or exploring the rainforest that surrounds Cairns. As the end of my 5 months was getting nearer, an Englishman named Chris that had completed his DMT before I finished mine sent me a message. He and I had spent quite a few nights out together running around Cairns like we owned the place. He was now in the Philippines and had almost finished his Instructor Development Course. He was planning on heading over to Koh Tao soon and said I should come and join him. Now, I haven’t always been a spontaneous person but I’ve always wanted to be, so, I said sure, why not. I spoke to my boss in Cairns and asked to work for an extra month or so and then I’d be heading to Thailand. The next day, I booked my tickets. I flew from Cairns down to Sydney where I spent 5 days hanging out with my family and friends before setting out on my first long overseas trip away from home. Flying out of Sydney, I stopped over in Hong Kong and then to Koh Samui. I stayed there for a night and then jumped on the Song Serm (Ferry) to Koh Tao. At this stage, my buddy Chris, the only person I knew on the island, was stuck on Koh Samui in hospital getting stiches from a recent confrontation with a window. So, I knew no one, I didn’t have any accommodation, I didn’t have a job, and I didn’t really have much money. The only bit of information that I had was from my old boss in Sydney. He became a Dive Master many moons ago on Koh Tao and so told me I had to go and meet Chopper, a fellow Aussie who owned Choppers Bar at Sairee (the main beach area on Koh Tao). I went straight there and introduced myself to Chopper. We got along quickly and I told him that I would be looking for dive work. He mentioned he was meeting up with Jay that night, an owner and manager of Roctopus and he would put a good word in for me. I had an interview the next day with Jay and 2 days after that, I had my first day working as a full time DM for Roctopus. I dive nearly every day. I work for an awesome dive shop with the greatest bunch of people. Oh, and I live on a tropical island. I’ve been told so many times how lucky I am to have this life and I definitely don’t take it for granted. I get it. I understand. Everyone is jealous and I love it. The best idea I’ve ever had was just to go and do something different. I only really planned to be here for 6 months or so. And so far I’ve spent about 3 and a half months with Roctopus and I am definitely not leaving any time soon. I’ll be here for years now I’d say. This is what a lot of people dream of doing. Some days I wake up and I still can’t really believe that I’m actually doing it! Lucky for you guys, there will be plenty more posts from me coming each week. I’ll be writing about life on Koh Tao, different dive sites, restaurants and bars on the island and everything else in between. Anything Koh Tao will be here. I’m looking forward to next week’s entry already!